According to some, the various "Star Trek" television series and films have seen more music composed than any other series in film history. While, back in the early sixties, American screenwriter Gene Roddenberry was busy creating the Star Trek universe, one has to wonder whether he had any idea of the fan-base it was destined to attract, or indeed, the gaggle of composers he would meet on his journey to the top. The original series spanned the years 1966 to 1969. The legendary Alexander Courage was right in the middle of composing music for half a dozen TV series or so, including the now cult series "Lost in Space". Its often hard to know for sure, but one could at least suggest that Lost in Space was actually Courage's doorway into the world of Star Trek, or at least a doorway to his more exotic and operatic works. Considering the staggering amount of work Courage was doing at the time, it is rather amazing that he was able to pull off some of the finest music of his career. Composers Fred Steiner, Jerry Fielding, George Duning and at least four others also contributed to the dramatic underscoring of the Star Trek series, but it was Alexander Courage's music that stuck out illustriously. For starters, he composed the main theme that has become a huge favourite around the world. It brings back so many memories for so many people and is said to be the single most successful theme ever written (right up there with Jaws, Indiana Jones, James Bond and the Pink Panther). It also bears a subtle resemblance with John Williams' theme for Star Wars; the latter may have been inspired by the former as a matter of fact. 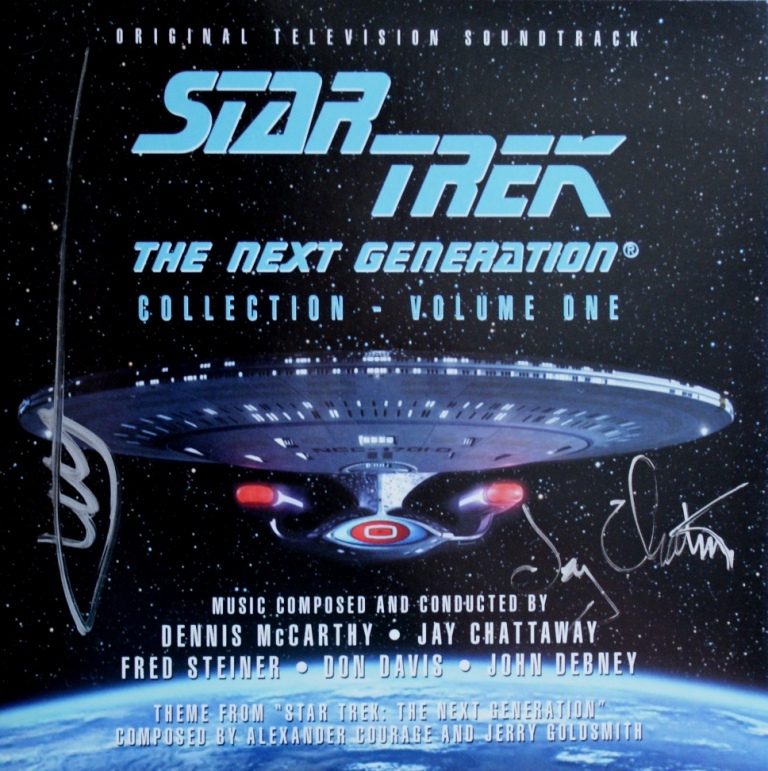 In typical Hollywood fashion, Roddenberry (the writer of the series) saw it fit to interject his own lyrics into Courage's music and obtain half of the performance royalties. Understandably, Courage felt wounded in the process and subsequently left the series altogether. The mark he left on the series as a whole was very powerful though. The "Star Trek: The Next Generation" series started in 1987 and ended near the middle of 1994 with its 178th episode. Dennis McCarthy, who was to become a big contributor to the Star Trek series, stepped into Courage's shoes. A sceptic such as myself would have deemed it impossible to recapture the magic of the original series...big mistake. This was the same Dennis McCarthy behind the scoring of the V series after all. The composer breathed a whole new life into the series, departing slightly from the John Barry-esque tones of Courage's original work and embracing a more surreal style. This is a very good thing; the last thing you would want is for a composer to try and emulate the music from the original series. Composers Ron Jones and Jay Chattaway followed suit with some dazzling pieces the would span over 80 additional series. These two brought a mystical and entrancing mood to the series that greatly captivated the audience's imagination. "Star Trek: The Motion Picture" (dir. Robert Wise) was released in 1979 and scored by Jerry Goldsmith. It was the first in a series of Star Trek films. Although I am bound to upset of few fans here, I think that Goldsmith's music is the finest in the whole Star Trek repertoire and, considering the overall musical brilliance on display here, that's saying something. Goldsmith uses three techniques repeatedly through the score: minimal cues, dissonant alien-like sounds and operatic leitmotif movements. There is a striking resemblance with Williams' score for Jaws (1975) in terms of musical technique. Goldsmith's work on Star Trek: The Motion Picture was also important because it would pave the way to scores such as Outland and Total Recall further down the line. The composer's foray into the Stark Trek universe wouldn't stop here though; he would go on to score "The Final Frontier", "First Contact", "Insurrection" and "Nemesis", respectively the fifth, eighth, ninth and tenth Star Trek feature films. 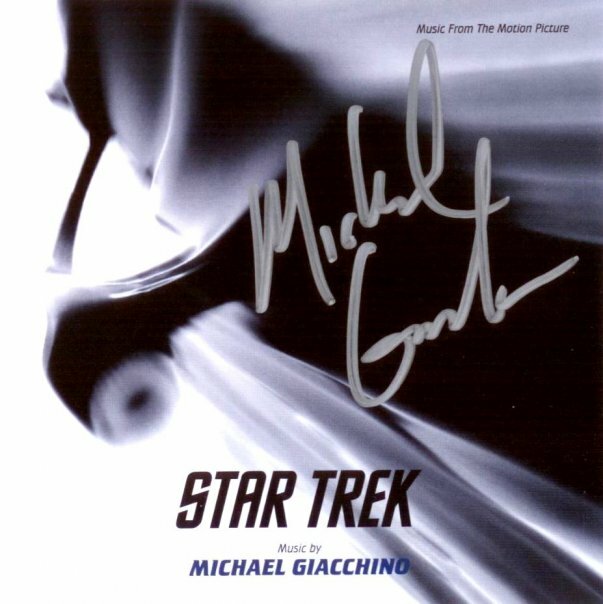 These contributions make Goldsmith one of the most prolific composers for the Star Trek universe and their sheer brilliance make him the most accomplished. 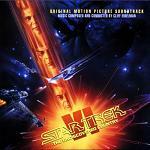 James Horner's score for the second feature film "The Wrath of Khan" is also notable. It foreshadows his later score for Aliens (1987) with its militaristic drums and adrenaline-pumping cues. There again, it has to said that The Wrath of Khan is the most accessible and subsequently less interesting score in the Stark Trek repertoire, but that of course doesn't mean that it is either dull or uninspired, naturally. Horner's next score for The Search for Spock, the third feature film, would follow the same lines but introduce some more subtle motifs, including electronic drones wavering in and out the orchestration that add much dimension to the music. Leonard Rosenman, renown for his work on "Rebel Without a Cause" (1955), "Barry Lyndon" (1975) and "The Jazz Singer" (1980), would score the fourth feature film "The Voyage Home" in 1986. His music is unquestionably brilliant of course, but it has to be noted that some sections are reused material from his former score The Lord of the Rings (not to confuse with the comparatively recent feature films by Peter Jackson; this is the animated film released in 1978). Regardless of how one may feel about the reused material, his original work was powerful enough to land him an Academy Award nomination for Best Music. The sixth film "The Undiscovered Country" was released in 1991. Cliff Eidelman had beautifully scored the successful Holocaust film "Triumph of the Spirit" (Robert M. Young, 1989) two years previously; along with the original demo tapes that the young composer contributed to the new Star Trek film, it became clear to the studios that Eidelman was the man for the job... and they were right. The first thing that should strike you upon listening to the score are those wonderful build-ups that Eidelman creates for the various film's battle scenes. Also notable is the wide array of instruments employed in his music, making this particular score one of the most varied of the Star Trek scores. The seventh film "Generations" was released in 1994. 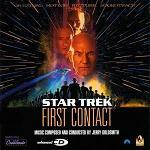 Dennis McCarthy would make a comeback at this point, brilliantly sowing the gap between Eidelman's eerie and subtle performance and Jerry Goldsmith's bold score for the next film "Star Trek: First Contact" (1996). Many critics would accuse him of playing it relatively safe, while still admitting to the fact that the score was mind-blowing in its beauty at times. They were sadly missing the point though. The amazing thing about this particular score is that it sees the composer take the same quality that he had displayed in the "Next Generations" series (back in the eighties) and bring it to new heights. It is not the case of a composer going over the same movements, but that of a composer perfecting his art. The "Star Trek: Deep Space Nine" (1993-1999) series was somewhat darker than the previous TV series, and so the music followed suite. Dennis McCarthy scored most of the music, alongside Jay Chattaway and David Bell. 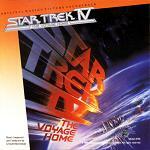 Casting Jerry Goldsmith aside for a minute, McCarthy's music represents the best out of the entire Star Trek universe. The incorporation of dark synthesizer pads into the elegant and sometimes daring orchestration proved an excellent companion to the series new-found maturity. At times, the music sways erotically with icy melodies, perfectly capturing the cold realm of space as well as a sense of danger and emotion that had not yet been fully realised in the previous Star Trek instalments. For many the following "Star Trek Voyager" series, launched within the same time span as "Deep Space Nine" in 1995, were a huge disappointment. This time around, Jay Chattaway's music was more robust and somewhat less subtle. There are shades of James Horner lurking in the music too, even down to the latter's trademark militaristic drumming. The Star Trek franchise has now undergone a complete reboot, with a completely new cast replacing the TV originals and in a somewhat darker version of the original Star Trek Universe. Michael Giacchino has introduced Star Trek Music to a new audience and looks set to be the resident composer for the new film series. "Star Trek" was a major success in 2009, Star Trek: Into Darkness in 2013, and "Star Trek Beyond" in 2016. For a while it looked as though there would be no more small screen Star Trek, but then along came "Star Trek Discovery" in 2017 as a prequel series set only 10 years before the events of the original series. 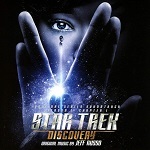 "Discovery" now has its 2nd series in production and so far most of the episodes (and the theme) have been scored by Jeff Russo. Although not officially a Star Trek series an honourable mention must go to "The Orville" which is an independent series in the same mold in many respects including musically. The theme for "The Orville" was boldly scored by Bruce Broughton with duties on the incidental music split between John Debney and Joel McNeely. 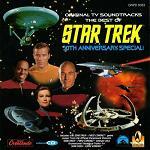 Star Trek Music - in concert! 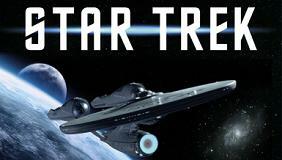 In a similar vein "Star Trek: The Ultimate Voyage" is a concert tour featuring the Music of Star Trek celebrating 50 years since the original TV series started and including music from the various TV Series and Star Trek Movies. Unfortunately for those based in the UK, the tour in 2016 will be restricted to venues across the US and Canada. However the concert series gets a special launch in the form of a one-off concert being held again in London's Royal Albert Hall on 1st November. This will feature the London Philharmonic Orchestra conducted by Justin Freer, guest conductors being Trek composers Jay Chattaway and Ron Jones. 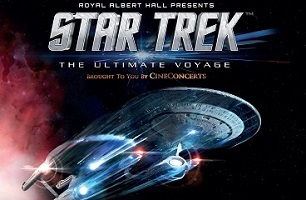 See the Royal Albert Hall website for tickets to the UK event and the Star Trek website for more info on the US tour. 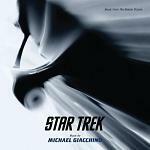 Here are various links associated with Star Trek music on the mfiles web-site, including composer biographies and soundtracks reviews. Leonard Rosenman - the feelgood "Star Trek: The Voyage Home"
Cliff Eidelman - the darker "The Undiscovered Country"
Michael Giacchino - the reinvented "Star Trek"
John Debney - composer and conductor for some episodes of "The Next Generation" and "Deep Space Nine"
Don Davis - composer for 1 episode of "The Next Generation"
We also recommend you search YouTube for "star trek patrick stewart playing the flute". Just released by La-la Land Records is the complete music for the original TV series. 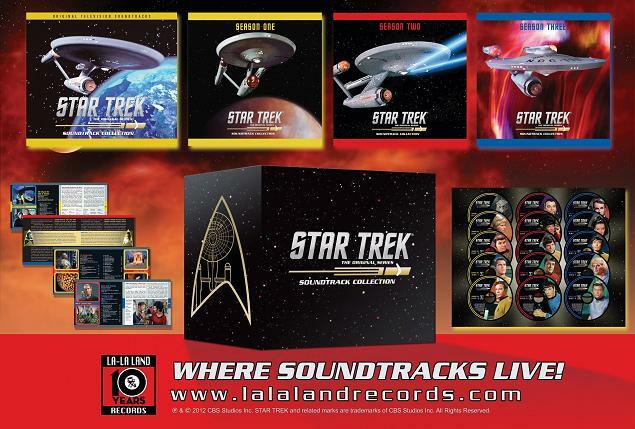 It comes on 15 CDs with 4 booklets (over 100 pages in total) with in-depth liner notes from film music writer and Star Trek historian Jeff Bond. 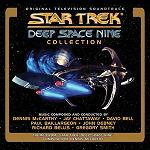 A 4-CD collection of music for Deep Space Nine has also been released by Screen Archives Entertainment. This release was available from La-La Land Records but has now sold out! 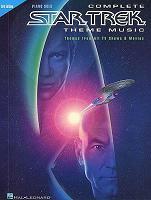 There is a book of Star Trek sheet music which is highly recommended if you want to play Star Trek music yourself. The links below are for the Piano version though there are similar books for other instruments. Make sure you go for the latest 3rd Edition, which has the sheet music from 9 Star Trek films and 5 Star Trek television series! There is quite a lot of music which never appeared in the TV Series or the Films, but is closely associated with Star Trek in the eyes of its fans. Firstly quite a lot of music has been recorded by the show's stars. 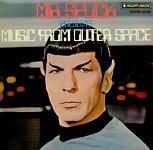 Back in the 1960s there was the LP called by Leonard Nimoy called "Mr. Spock presents Music from Outer Space" (also released as "Leonard Nimoy presents Mr Spock's Music From Outer Space", with a mix of Star Trek music from the series and his own songs. On the back of this and with fan attention for the original series at a peak, Nimoy went on to release 4 further albums each with a stronger focus on him as an artist. In a kind of strange cross-over, on the 2nd album "Two Sides of Leonard Nimoy" Nimoy sung "The Ballad of Bilbo Baggins". A couple of years behind his co-star, William Shatner also caught the bug when he released "The Transformed Man" in 1968, with some covers of popular songs and spoken verses delivered by the Captain himself. While Nimoy and Shatner are not particularly great singers, other stars from the series have more refined singing voices. Nichelle Nichols had some experience as a professional jazz singer before joining the Enterprise crew, even appearing in a small role in the 1959 film version of Porgy and Bess. 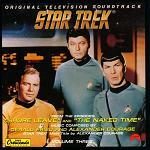 Not to be outdone by crew mates the actress also released an album in the 1960s on the back of her Star Trek fame. It was called "Down to Earth" but, while she can certainly hold a tune, the album quickly faded into obscurity. 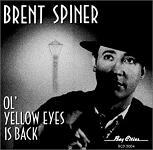 Later, Brent Spiner of the Next Generation crew relased "Ol' Yellow Eyes is Back" in 1991 with a range of show tunes and jazz standards. There have also been many fan contibutions to the series including a number of songs. In 1987 the best of the fan songs was an affectionate parody called "Star Trekkin'" by The Firm, which became a number 1 hit in the UK spending many weeks in the charts. The lyrics cheekily played on many of the series catchphrases including "There's Klingons on the starboard bow", "It's life, Jim, but not as we know it", "It's worse than that - he's dead, Jim! ", "We come in peace; shoot to kill" and "Ye canna change the laws of physics!". You can hear the song with its potato-head video here on youtube. 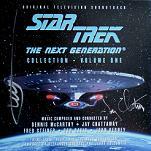 Here are some signed covers of Star Trek soundtrack CDs. Our thanks to Petr Kocanda for permission to use his collection of autographed CDs. Click any thumbnail below to see the image full size in a separate window.